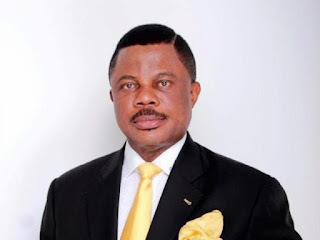 Senior Special Assistant to Governor Willie Obiano of Anambra State on Event Management, Mr Chido Obidiegwu, has inaugurated a movement, “One-on-one Nigeria,” for the re-election of President Muhammadu Buhari in 2019. Obidiegwu made the disclosure on Tuesday at a briefing at the Nigeria Union of Journalists Press Centre in Awka, Anambra State. Accompanied by a former All Progressives Grand Alliance presidential aspirant, George Okoye, Obidiegwe said his campaign for Buhari was in the interest of the Igbo. He said, “‘One-on-one Nigeria’ is an independent network of Ndigbo determined to achieve Igbo Presidency by returning President Buhari for a second term. “This we do through a massive awareness to convince Ndigbo that four years of President Buhari is better than eight years of any other person for us to achieve this dream via a project tagged 4 is better than 8.” Obidiegwu, who recalled the travails of the Igbo since the end of the Nigerian civil war, said the Igbo were not ready to play the opposition anymore in the country’s polity. He commended Buhari for infrastructural development in the South-East, saying that the President had shown goodwill to the people of the area. Asked whether his action was not antithetical to the All Progressives Grand Alliance that had fielded a presidential candidate, Gen John Gbor (retd. ), Obidiegwu said his movement had nothing to do with political parties, stressing that, “Our resolve is driven by President Buhari’s past, his values, orientation and disposition.” He said, “Buhari began serious work on the long-abandoned Second Niger Bridge, the long-abandoned Enugu-Port Harcourt Expressway, the Zik Mausoleum, Ariaria Aba Independent Power Project.